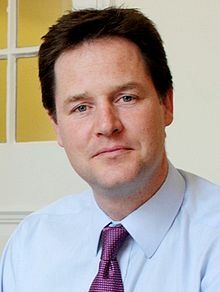 Below is the text of the speech given by the Deputy Prime Minister, Nick Clegg, to the United Nations Millennium Development Goals Summit on the 22nd September 2010. Poverty, hunger, disease, and the degradation of our natural environment. This week we are reviewing progress, assessing obstacles, and agreeing a framework for action to meet our targets. These are the technocratic terms in which governments must necessarily trade. To uphold the dignity and security that is the right of every person in every part of the world. Development is, in the end, about freedom. It is about freedom from hunger and disease; freedom from ignorance; freedom from poverty. Development means ensuring that every person has the freedom to take their own life into their own hands and determine their own fate. The last decade has seen some important progress. That progress has, however, been uneven, and, on a number of our goals we remain significantly off track. So my message to you today, from the UK government, is this – we will keep our promises; and we expect the rest of the international community to do the same. For our part, the new coalition government has committed to reaching 0.7% of GNI in aid from 2013 – a pledge we will enshrine in law. That aid will be targeted in the ways we know will make the biggest difference. And I am pleased to announce today that the UK will be stepping up our efforts to combat malaria. In Africa, a child dies from this disease – this easily preventable disease – every 45 seconds. So we will make more money available, and ensure that we get more for our money, with the aim of halving malaria-related deaths in ten of the worst affected countries. The UK government is also proud to be boosting our contribution to the international drive on maternal and infant health. Our new commitments will save the lives of 50,000 mothers and quarter of a million babies by 2015. The UK makes these commitments at a time of significant difficulty time in our domestic economy. The new government has inherited a £156bn budget deficit, so increasing our international aid budget is not an uncontroversial decision. Some critics have questioned that decision, asking why, at a time when people at home are making sacrifices in their pay and their pensions, are we increasing aid for people in other countries? But we make this choice because we recognise that the promises the UK has made hold in the bad times as well as the good – that they are even more important now than they were then. Because we understand that, while we are experiencing hardship on our own shores, it does not compare to the abject pain and destitution of others. Because we take seriously the fact that the new coalition government is now the last UK government able to deliver on our country’s promises in time for the 2015 MDG deadline. And because we know that doing so is in our own, enlightened self-interest. When the world is more prosperous, the UK will be more prosperous. Growth in the developing world means new partners with which to trade and new sources of global growth. And, equally, when the world is less secure, the UK is less secure within it. Climate change does not somehow stop at our borders. When pandemics occur, we are not immune. And when poverty and poor education fuel the growth of global terrorism, our society bears the scars too. Twenty two of the thirty four countries furthest from reaching the MDGs are in the midst of or emerging from violent conflict. Fragile spaces – like Afghanistan – where hate can proliferate and terrorist attacks can be planned, where organised criminals can harvest the drugs that ravage our streets, where families are persecuted, displaced, pushed to seek refuge with us. So we do not see the Millennium Development Goals just as optimistic targets for far away lands; they are not simply charity, nor are they pure altruism. They are also the key to lasting safety and future prosperity for the people of the United Kingdom, and of course, for people right across the globe. We welcome the General Assembly’s agreement to annually review progress made against the commitments agreed at this Summit. The UK will stand up to that test. Today I call on others to show equal resolve. The Millennium Development Goals must be a priority for each and every nation present in this room. Developed nations must honour their commitments. And developing nations must understand that they will not receive a blank cheque. Developing countries and donors must work together – as equal partners – towards securing our common interest. They will be expected to administer aid in ways that are accountable, transparent, and responsible – creating the conditions for economic growth and job creation. Prioritising national budgets on health, infrastructure, education and basic services. Managing natural resources, particularly biodiversity, in an environmentally sustainable way. Improving the lives of women and girls: empowering them; educating them; ensuring healthy mothers can raise strong children. There can be no doubt that women and girls hold the key to greater prosperity: for their families, for their communities, and for their nations too. If we each step up, we can meet the Millennium Development Goals. We can liberate millions of people from daily suffering, and give them the resources to take control of their lives, and their destinies. So let future generations look back and say that they inherited a better world because – at this critical moment, at this difficult moment – we did not shrink from our responsibilities. Let them say that we rose to the challenge, that we kept our promise.